Here's how to do a Kindle Fire reset to reboot your tablet when your Kindle Fire won't turn on, charge, or is stuck. Resetting your device fixes a lot of Kindle Fire problems and is easy to do. So be sure you learn how to reset your Kindle Fire because at some point you're going to need it. The tutorial on this page is not for doing a full Kindle Fire Reset to Factory Defaults. Here we'll just be rebooting your device. However, if you need to completely reset your tablet to its original, clean state that's when you would do a factory reset. The solution to this issue works the same for all Kindle Fire tablets. It doesn't matter which one you have, they all use a basic technique. Just follow along and I'll show you how to reset your Kindle Fire. When I hear (or read) these words from those who are experiencing a problem with their Kindle Fire it usually ends with something like, "turn on", "charge", or "work". If suddenly your Kindle Fire won't work, then it's most likely locked up. However, sometimes when it locks up you can't tell because the screen goes dark, either gray or black. It just looks like it's off when in fact your Kindle Fire is on but is stuck. This is usually why a Kindle Fire won't turn on or charge, because it's already on but is locked up and thus won't charge or work properly. When an electronic device "locks up" or freezes usually resetting it fixes the problem. When this happens I compare it to a traffic jam that needs to be cleared away, which is kind of what we're doing when we turn our Kindle Fire off and back on: clearing away an internal wreck or breaking up a fight. 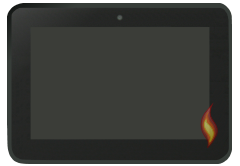 Resetting your Kindle Fire is actually really easy, just hold down the power button for at least 20 seconds. Unless the screen is black or gray, you'll know when it's off. If you can't tell, just be sure to wait a full 20 seconds. When you're ready, hit the power button to turn it back on. If your Kindle Fire won't turn on it's possible the battery went dead (if it was left "on" too long). Plug in the power charger and wait about 15 minutes to make sure it gets enough charge, and then try turning it on again. If it still won't turn on, try to reset the Kindle Fire again to be sure it's powered off. If your Kindle Fire won't charge it's very possible that your charger has died! Most of my original charging cables that came with my tablets have kicked the bucket. 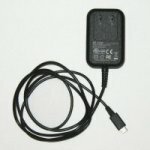 If you have access to another charging cable, preferably from another Kindle Fire, try that to see if it works. If you have one from a phone you can try that as well. I'm currently testing several different chargers and cords from other companies, which I'll post about later on this site. 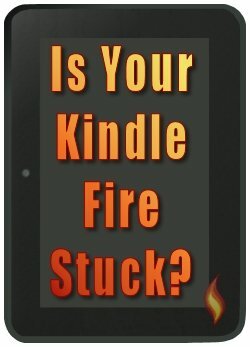 Kindle Fire Fixed or Still Won't Work? Hopefully resetting your tablet solves the problem, but if it doesn't you might want to consider doing a Kindle Fire reset to factory defaults. If you're not ready for that extreme of a step, then I'd highly recommend contacting Amazon Support. If this tip (or anything else on my site) helps solve your Kindle Fire problem please let me know by posting a comment on my Facebook page, my Google+ Page, or even send me a Tweet! I love knowing that the articles and resources I share on this website are helpful to others. 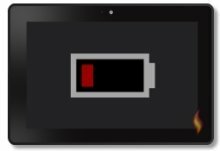 If you're having trouble with keeping your Kindle Fire charged, you'll want to see my battery saving tips. These will help your battery power last longer, letting you more fully enjoy your tablet and less time charging. I love receiving your comments, but please read the notes below before posting. Thank you! I continue to receive questions I've already answered in my FAQ or in articles on my site. PLEASE check there first! If you're having trouble accessing my exclusive Kindle Fire articles, please email me directly instead of posting in these comments.